Mental health researchers have repeatedly found evidence for improved mental health with exposure to nature. Not that we needed another reason to immerse ourselves in the beauty and wonder of the natural world; what a gift from Mother Nature! Being in nature can be refreshing with the solitude of a lone walk or as a shared experience with family, friends, and colleagues. Whether on a hike, run, paddle, or biking activity, we now know with great certainty it is not only good for our physical selves, but also for our mental and emotional selves. Alternatively, extended exposure to urban environments, cubicles, artificial light, and device screens is related to increased levels of anxiety, depression and stress. The body and mind are not, of course, independent entities as they are sometimes treated. They interact, communicate, and collaborate constantly. 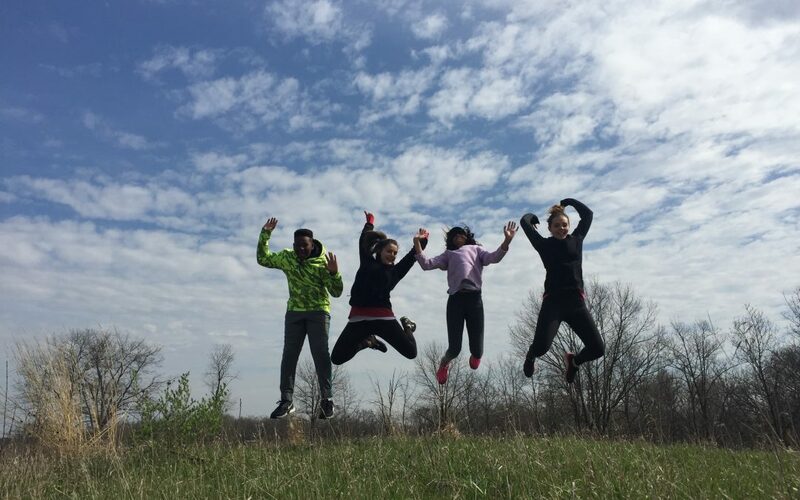 Spending time in nature has a physiological effect on the body, reducing blood pressure and the hormone cortisol, which is associated with stress. Thus, our time in nature serves to lessen stress and “refresh” our brains, improving focus, creativity and problem-solving. More natural light in outdoor settings is also related to improved sleeping patterns, which in turn also promotes healthier minds and bodies. It has also been shown to improve our social interactions and emotional support from others. Brains are almost always capable of being very busy, even when we sleep. Mindfulness and meditation skills have gained in popularity over the past few decades, in part because they offer us a set of skills to practice simple and powerful focusing, as well as a means by which to quiet our minds for periods of time. Being in nature can serve as a “natural” mindful meditation. When we are in nature our attention is often directed externally onto the beauty and wonder surrounding us. This most often serves to get us “out of our heads” and “into nature”. We often experience this as the quieting of our minds. 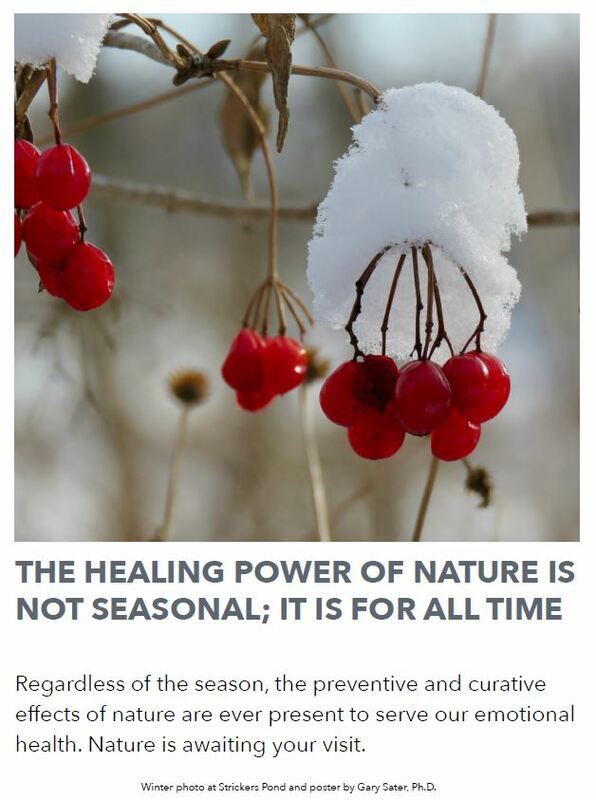 So, get out there and improve your overall health while immersing yourself in nature. 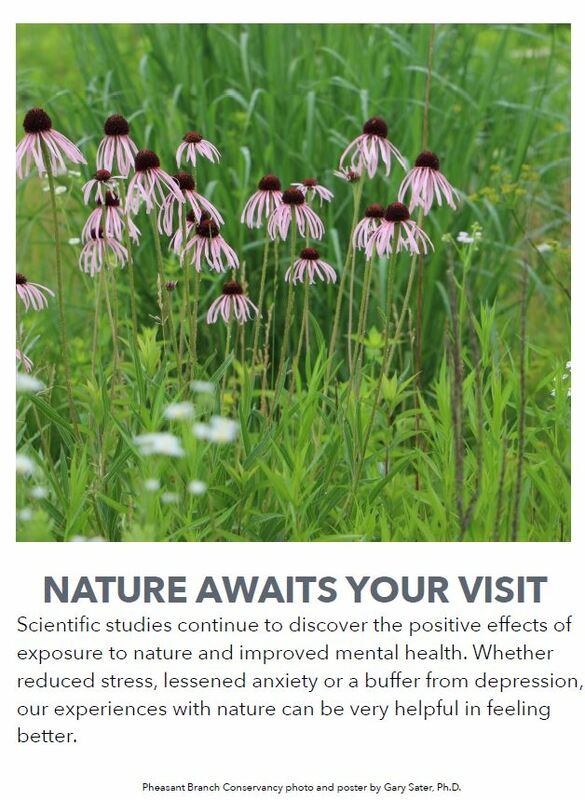 Below are two posters Dr. Sater has created as part of his Wisconsin Master Naturalist capstone project to increase awareness about the mental health benefits of being in nature. The Giving Brewery is a partnership between Octopi Brewing and 105.5 Triple M. Together they create and market exceptional craft brews that support different nonprofit organizations like the Natural Resources Foundation.